If you see this, it is because you are interested in the visit of the Elder Don Alejandro. For us it is a joy and an honor to have you with us again, in which (as himself said) is probably his last trip to Europe, since he already has 88 years. We have respected the prices of grandfather in all his travels. In Madrid, there will be conferences and ceremonies. 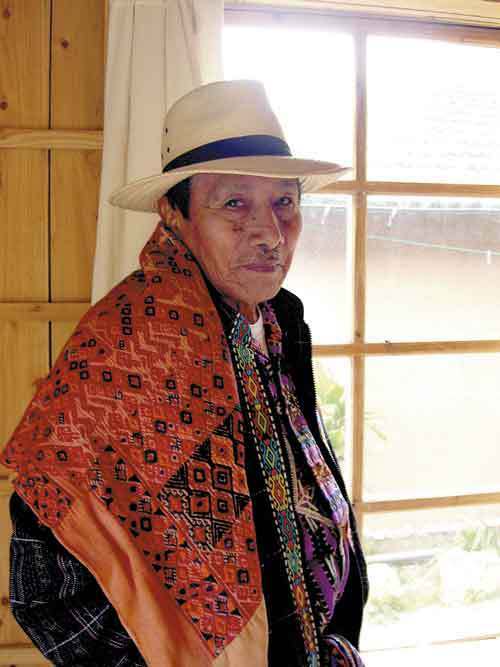 Don Alejandro Cirilo Pérez Oxlaj is a high priest of the 13 Mayan Quiche generation. Don Alejandro is also the leader of the Indigenous Council of the Americas, whose members nations from Land of Fire to Alaska and he is the link between the wise elders of many peoples. It is also the representative of the Mayan people in the UN. In Bizkaia (Basc Country), 20-22 de Mayo. 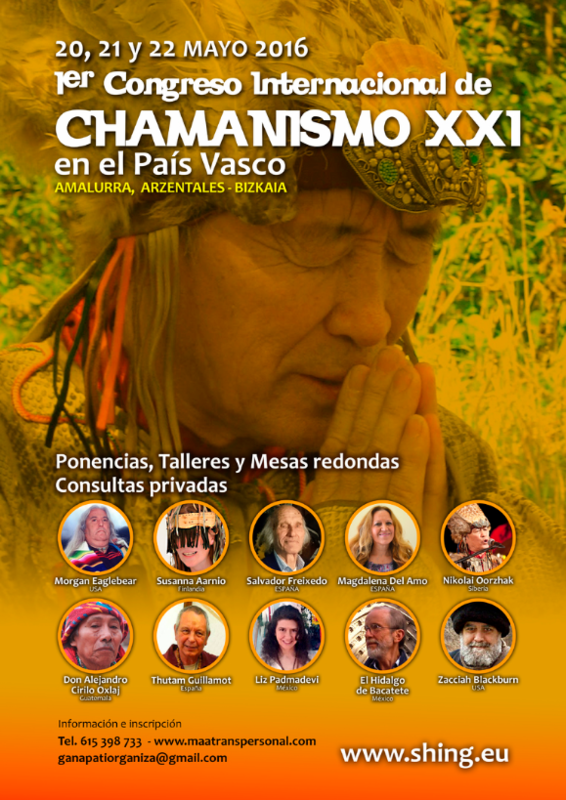 Grandfather Don Alejandro (Tata Cirilo) participates in the First Congress of Shamanism in the Basque Country with shamans of Mongolia, Finland, Mexico or the US. 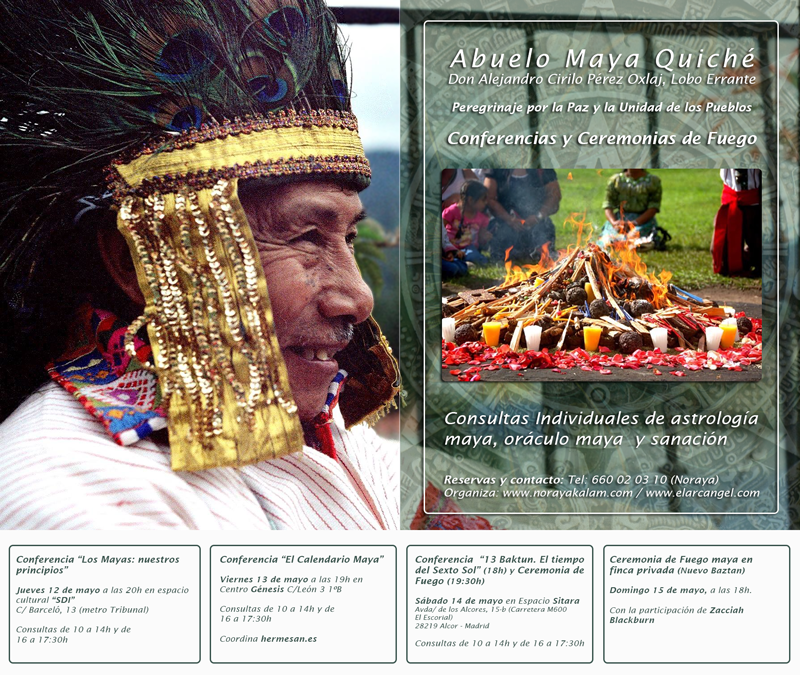 There will be conferences, consultations and joint ceremonies.